THE EXTRAORDINARY NEW NOVEL FROM THE NUMBER ONE BESTSELLING AUTHORNever give up on your dreams, no matter how long you hold on to them . . . When Gracie Burton stumbles upon an advertisement for a week-long cookery course in the heart of the Tuscan countryside,she cannot resist, and ploughs her life savings into the trip. Her only family - daughter Carina and granddaughter Anastasia - are hesitant about what has prompted this seemingly random venture. 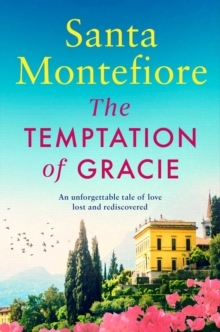 But they have no sense of Gracie's past; of what could possibly be calling her to Italy.